MUMBAI: Badal broke into the music scene collaborating with two superstars Dr. Zeus and Grammy-nominated Raja Kummari. The song Vamos a Spanish-Punjabi track rapidly featured on audience’s playlists to become a favorite party hit. On YouTube alone the song has raked in 11 million plus views. In the span of just four months, he released a solo track-Trip. A groovy, trippy track Trip sent audiences, especially girls, fall head over heels in love with his dreamy voice. The song even saw television sweetheart Aashika Bhatia grooving on social media and famous choreographer Melvin Louis the following suit. With his cute, boy next door looks and an unassuming swag, the young music star is on an unstoppable run as he releases another track- PURO PURO. The track is the second Spanish Punjabi track in the EP and is being released with a quirky, animated video. 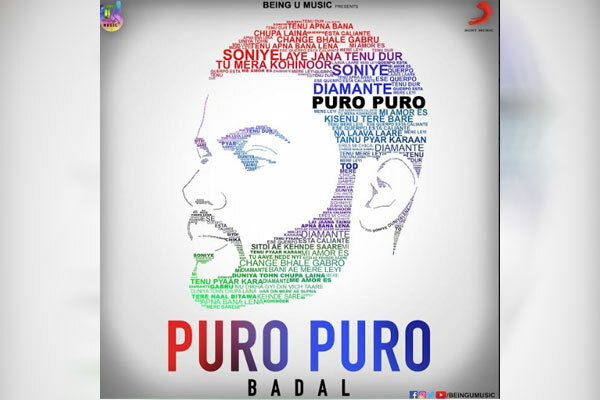 After tripping on a special someone, this is a peppy song of him confessing his undying love for a special girl in his life, hence the name title which means Pure in Spanish. PURO PURO EP is being released by BeingU Music and Sony Music and will be available on BeingU Music’s YouTube channel and all other streaming platforms.